Once again The Ghan is the clear winner, having received more than half of your votes. Over three days, this transcontinental rail ride journeys 3000 kilometres, from Darwin to Adelaide. Named after the Afghan cameleers who once traversed this route, it offers unsurpassed views of Australia’s tropical Top End, to the unparalleled Red Centre. You voted for its “beautifully restored carriages”, “scenery and service” and the “fascinating” side trips you can temporarily disembark for. 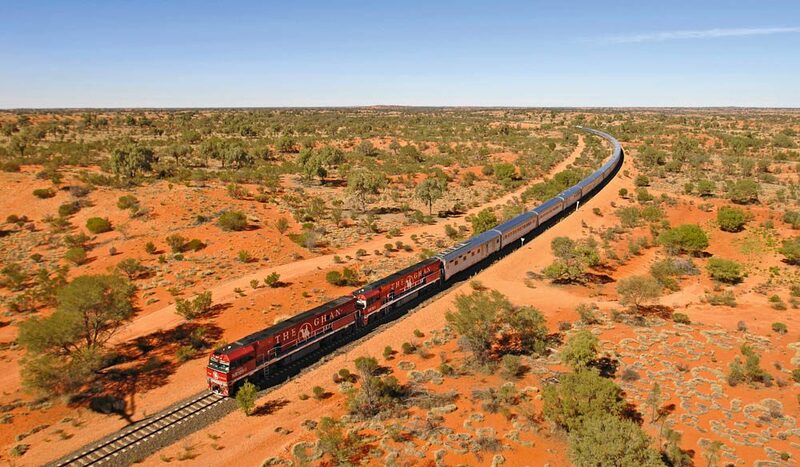 With a clear lead on other finalists, the Indian Pacific’s (greatsouthernrail.com.au) iconic journey between Perth and Sydney is a second-time finalist. Kuranda Scenic Railway (ksr.com.au) through Tropical North Queensland and the Tilt Train (queenslandrail.com.au) between Brisbane and Cairns were also repeat favourites, while CountryLink (countrylink.info) was a newcomer for its many scenic routes through regional New South Wales.